Note: Originally posted in August 2014 and updated in September 2015, we have again updated this Q&A to reflect 2017 year-end numbers. The core message remains the same. Are we due for a market correction sooner or later? The short answer is, yes, probably. Most years, investors must withstand periodic dips and dives ranging from corrections to recessions to the rare depression. For example, according to data from JP Morgan’s “Guide to the Markets”, since 1980 the average intra-year decline of US stocks (measured by the S&P 500 updated to July 31, 2018) was 13.8% per year. 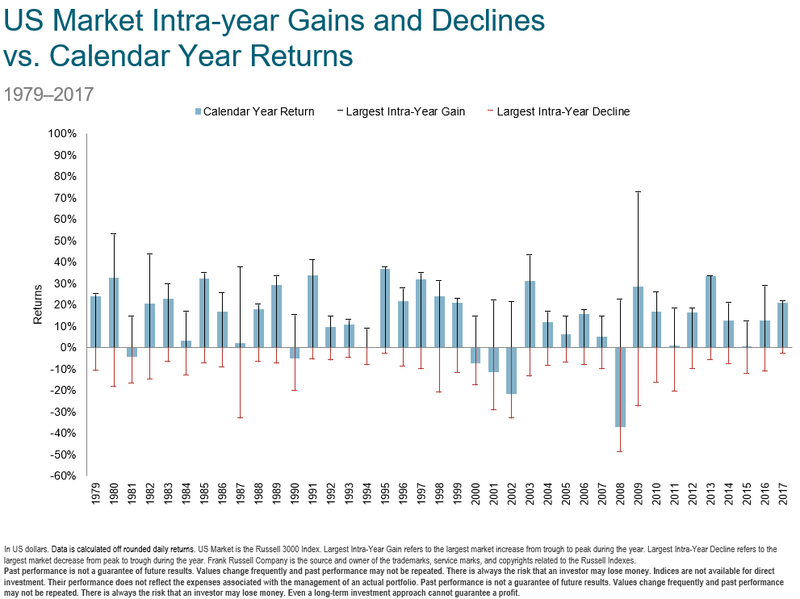 Even given this volatility, the annual returns were positive in 29 out of those 38 years. Instead, investors are better off assessing how best to withstand corrections when they do occur. Wheeler’s call for a financial fire drill applies well to the subject of market corrections. 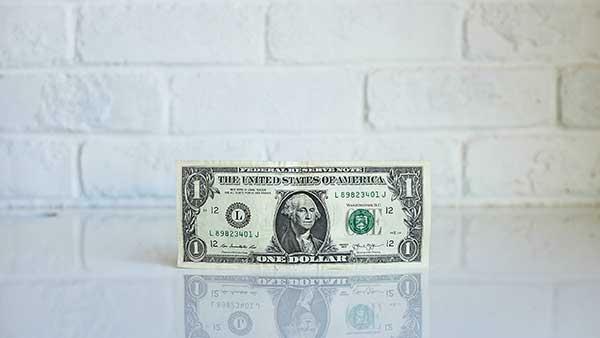 Consider the following points as you conduct your personal financial fire drill on the subject. While we know corrections happen, we cannot know when they will occur, how long they will last or how severe they will be. And by “we,” I mean the entire financial community. An abundance of academic research explains why this is so: efficient capital markets adjust prices not based on good, bad or neutral current news – but in reaction to unexpected news – whether it is better, worse or the same as expected. This means attempts to predict future pricing depends on information that is essentially unpredictable. In the face of effectively efficient markets, by panic-selling in advance of potential doom, you’re seeking to control an unknowable future. Your reaction may play for or against you, but either way, like a stopped clock managing to be correct twice daily for no good reason, your outcomes are far more likely to be a result of random luck than visionary wisdom. What we do know is that you face steep and expensive odds against success by trying to trade in advance of potential market corrections or in response to those that actually occur. We also know that you’re likely to incur additional trading costs, generate unnecessary taxes and miss out on the market’s expected long-term growth. So what should you do instead? As illustrated here, while the market clearly has its near-term ups and downs, you can expect it to grow over the long haul for you if you remain patiently in your seat. This is why we recommend you avoid trying to flee potential market corrections, and instead ride them out, by managing the factors you can expect to control: minimizing unnecessary costs, exposing your investments to market growth according to your tolerance for market risks, and practicing your financial “drills” to develop good investor habits. That way, next time somebody shouts, “Fire!” you’ll know exactly what NOT to do.